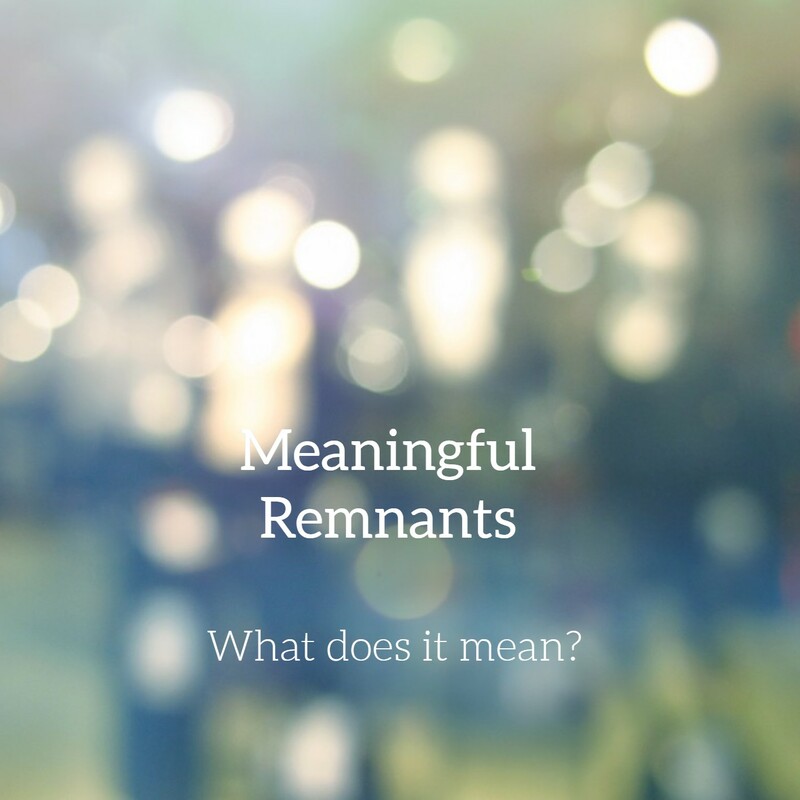 Intrigued by the name, a tech support person asked me “what is Meaningful Remnants about?” At the time, frantic about my blog’s disappearance and being caught off guard, I found myself stumbling over my words. My inability to instantly convey my intended focus bothered me. So here goes. The name, Meaningful Remnants, encompasses a myriad of thoughts and ideas, all stemming from a place of mindfulness. The importance of paying attention and recognizing what matters, whether it be the smallest of details to the larger defining moments or anything in between. 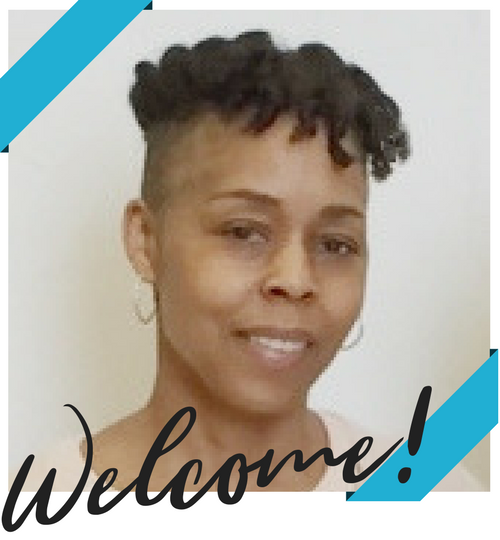 A smile, the first signs of a season, a major life event – all have value and warrant our undivided attention. 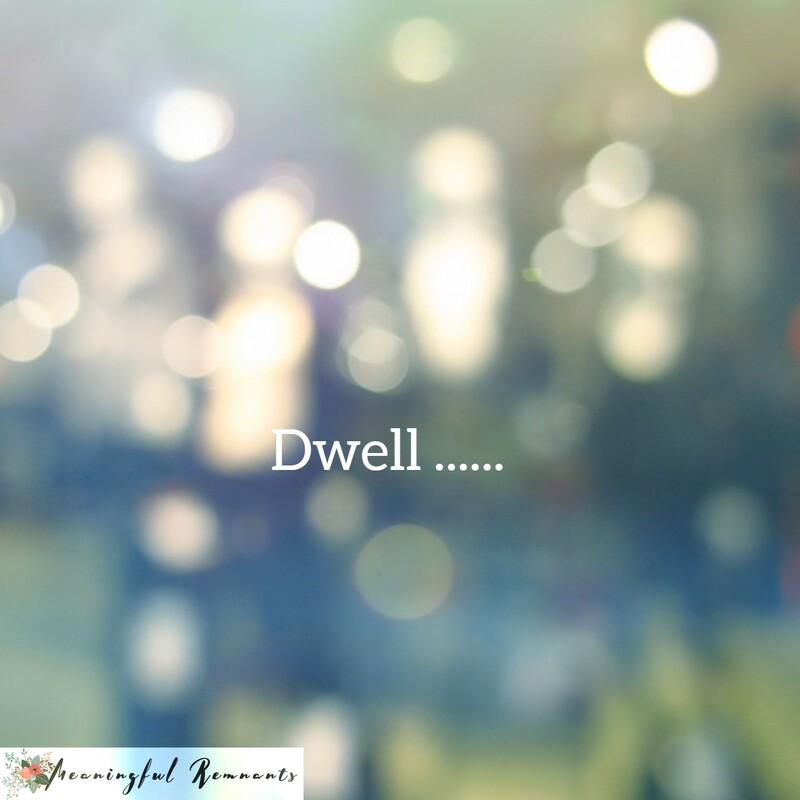 Meaningful Remnants can also be the moments from yesterday that we hold dear and treasure today – all the memories, experiences and relationships that have impacted and shaped who we are. It also represents anything salvageable, worthy of being transformed into usefulness with nothing more than a little creativity. Meaningful Remnants suggests that when you “dwell in possibility” you begin to think, live and create with possibility. This opens the doors into a myriad of even more possibilities, all the while, dwelling in the best of you. With present moment focus, the discovery of what’s important and what truly matters becomes so clear, allowing our wholeness, thankfulness and contentment to rise to the surface. If any of this resonates with you, even in the smallest way, please leave a comment and/or share this post with others who it might be of interest to. I would love for you to subscribe to my email list as well so we can stay in touch and continue the conversation. I want to know what you think and what matters to you because your thoughts can inspire myself and others in the most meaningful way. 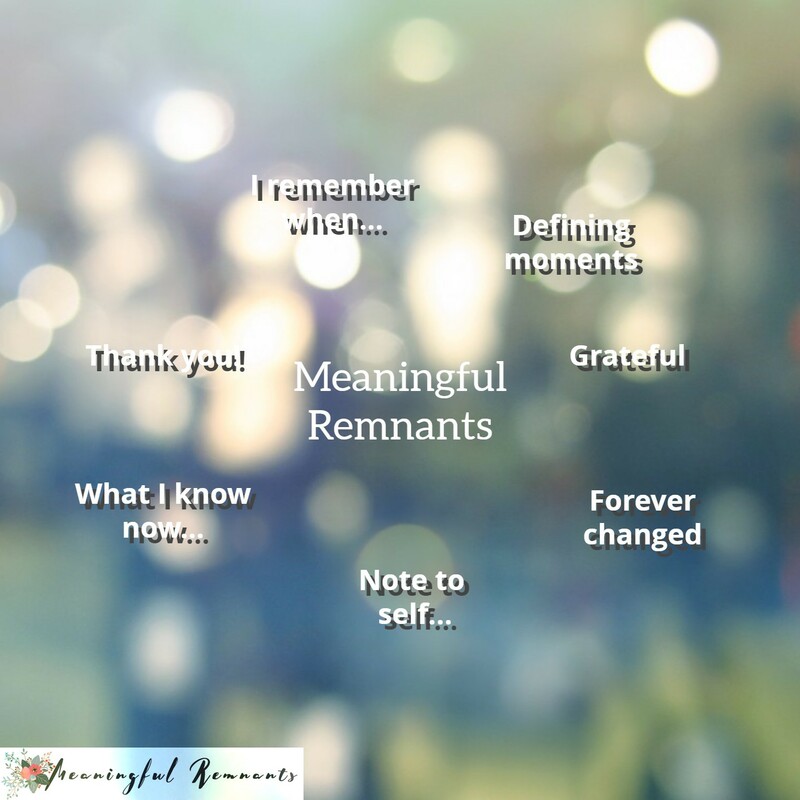 Cheers to Meaningful Remnants! Cheers to you!